Hello and Happy Sunday! I finally got a chance to use my "You've Got This" stamp set today. I've seen so many cute cards made with it. I wanted to do something a little different than what I've been seeing. For my card I used a Mint Macaron and added a layer of Gold Soiree DSP and then a layer of Whisper White cardstock that I had stamped with background stamp in Mint Macaron. 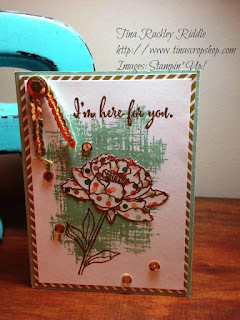 I heat embossed the flower with Stampin' Gold embossing powder onto the background as well as onto the Gold Soiree DSP that I wanted to use for my Paper Piecing and then fussy cut the flower and adhered onto the flower that was stamped onto the background. 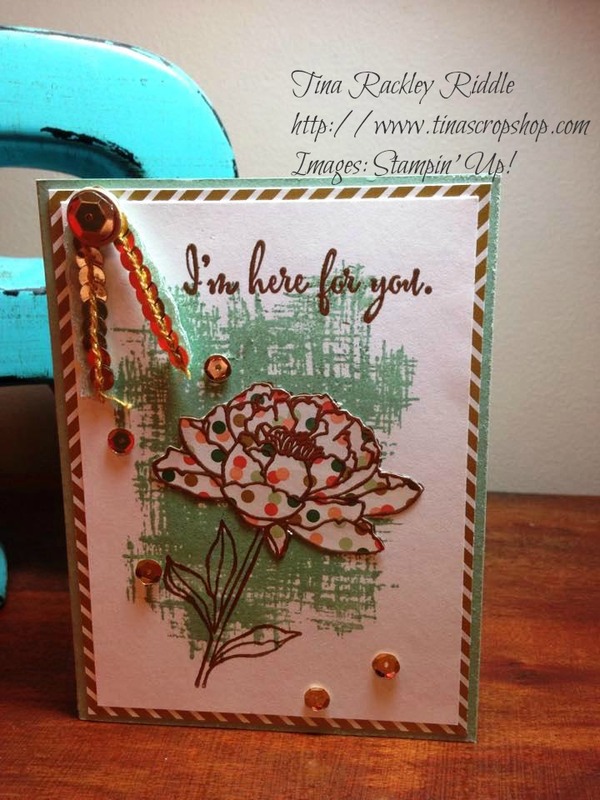 I also heat embossed the sentiment in Gold and added some Gold Pink Posh sequins. I glued a thin piece of the new Mint Macaron lace onto the edge of some Gold Sequin Trim and adhered to the upper left corner with a glue dot. I added a Basic Gold button and topped it with a large Pink Posh Gold sequin. Beautiful, I've been so attracted to all the gold lately..your card is making me want to use gold in my next card too! I love that flower and would never have thought to paper piece it! Very nice change from coloring or just the outline.